Need a Pool Repair in Woodbridge, California? Swimming pools contain a wide range of mechanical, electrical and structural components that often require the attention of a professional. For years EZ Pool Service has been providing expert pool maintenance and fast, effective pool repairs in Woodbridge, California. Working in the area since 2011, EZ Pool Service specializes in prompt, professional pool repairs to all models. Our expertise sets us apart from other Woodbridge, California pool repair companies. We strive to stay at the forefront of the pool industry, researching and training on the latest in energy efficiency, pool wall repairs, vinyl liner repairs and maintenance to all models of controllers and pool pumps. 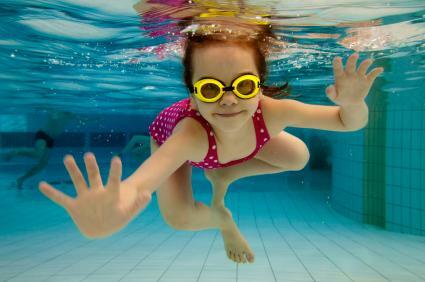 EZ Pool Service has helped many Woodbridge residents in solving pool issues, large and small. If your Woodbridge property has an older pump, your Woodbridge pool calls for immediate leak repairs or your electricity bills need to be cut down, the expert staff at EZ Pool Service is ready to help. Pool repairs don't have to break your recreation budget. Woodbridge residents invest a significant amount of money on swimming pools, and our beautiful climate provides plenty of opportunities to enjoy them. EZ Pool Service is happy to offer pool repair services at affordable, fair rates that keep pool costs reasonable. EZ Pool Service also offers specialty repairs, such as replastering, to Woodbridge customers at affordable prices. Leaks and other pool repairs require fast service, and EZ Pool Service has the staff and equipment to handle those calls. When your Woodbridge swimming pool is unusable due to a technical or structural issue, EZ Pool Service offers rapid, right on time pool repair service to every corner of the Woodbridge region. For non-urgent pool repairs, call (209) 210-2489 to schedule an inspection and assessment at a convenient time. Reclaim your backyard fun and trust EZ Pool Service for pool repair in Woodbridge, California. Our commitment to training and current industry knowledge, combined with affordable rates and dependable service make us one of the leading pool repair companies in the Woodbridge region. Call (209) 210-2489 today for more information and to book an estimate for your repairs.